What if you threw a party and everyone came? 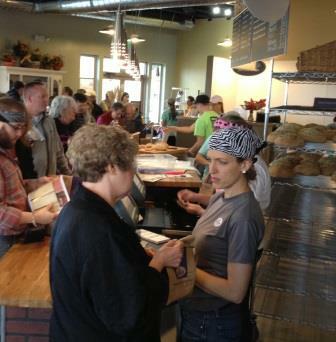 Our goal when we help new bakery owners open their own local small business is to be in just that situation. 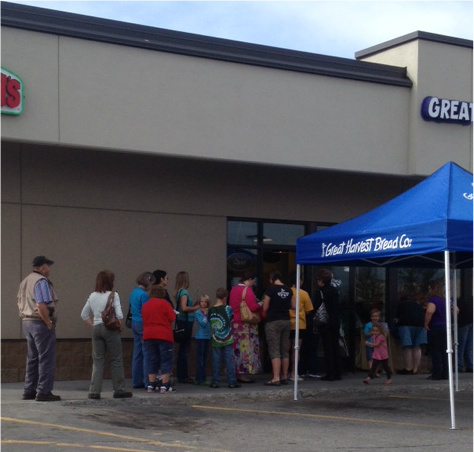 Grand openings, just like any big celebration, are fun and truly a “more the merrier experience.” But, they take work. The plan culminates with an open house the day before opening for friends, family, local dignitaries and anyone else who wants to come. All of this is part of a solid marketing methodology. Soft openings (where you open the doors without doing marketing) don’t work. In retail, you truly do get just one chance to make a good first impression and we know how to do that well. Honestly, how well you do this, can, and normally does, make the difference between a store that survives and one that thrives and explodes. Do this right and you are well on your way to success. Follow the guidelines we know work, instead of reinventing this wheel, and your doors will be knocked off of their hinges on your opening day. If owning a local retail business is your dream, don’t be afraid of “Will people come?” They will if you put in the effort to spread the word and follow a time tested marketing plan. Some parties are ones where we all want to hang out. A new business opening can be just as fun and exciting. What other marketing tactics have you seen used successfully to launch a new local retail business? I'd love to hear your thoughts in the comments below.